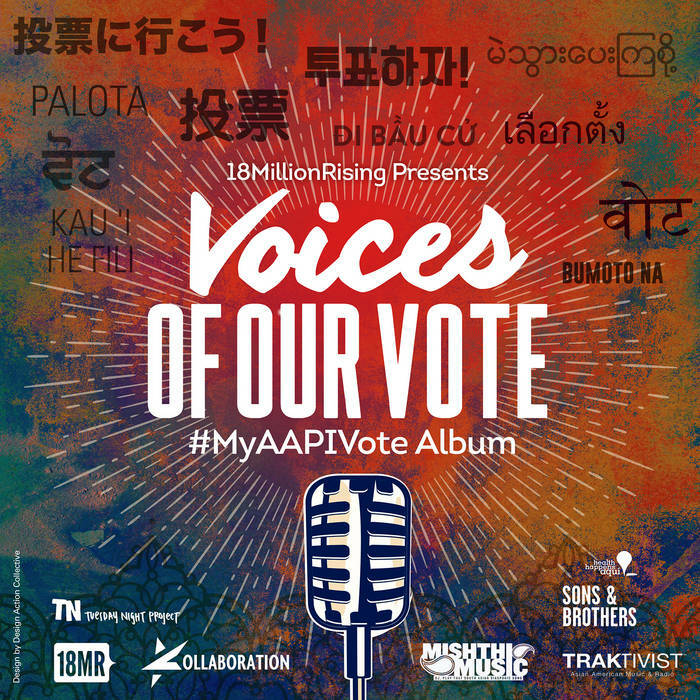 18MillionRising presents Voices of Our Vote: #MyAAPIVote Album - a compilation album featuring 32 politically empowering tracks by an eclectic mix of Asian American musicians. Given the current political climate of anti-immigrant rhetoric and increased racial tension, turning out to vote as an AAPI community this November 8th is more important than ever. 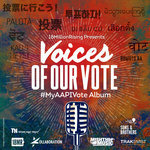 At 18MillionRising, we believe that music can shift hearts and minds, and with the release of the Voices of Our Vote: #MyAAPIVote Album, we believe music can activate Asian America to the polls. This album was created in partnership with the Asian North Americans music curation platform TRAKTIVIST (traktivist.com); with Kollaboration (www.kollaboration.org) who supports APIs in arts and entertainment by showcasing and connecting creative talents; with the oldest currently running Asian American open mic space Tuesday Night Project (tuesdaynightproject.org); and the South Asian diaspora music and online mixtape site Mishthi Music (mishthimusic.com). All proceeds earned from the album will be donated to 18MillionRising (18MillionRising.org), an organization promoting AAPI civic engagement, influence, and movement by leveraging the power of technology and social media.